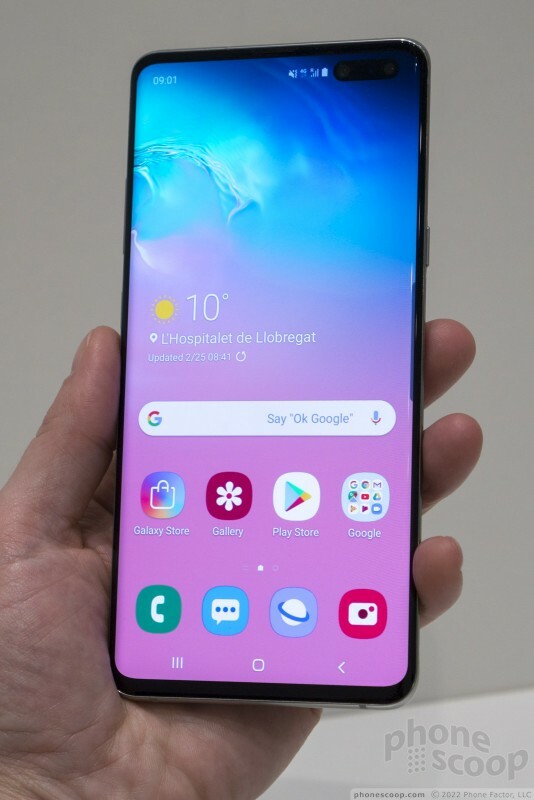 The Samsung Galaxy S10 5G might as well be synonymous with 5G at the moment. 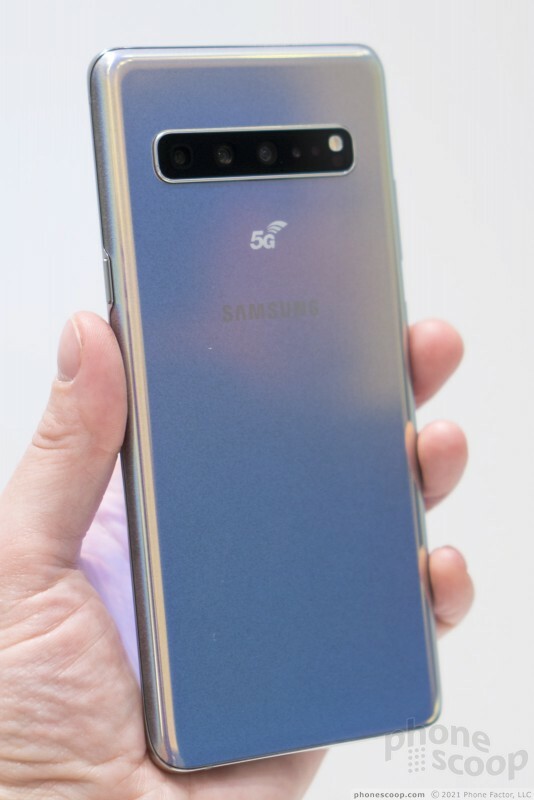 Every major US carrier will offer it as one of their first 5G phones. 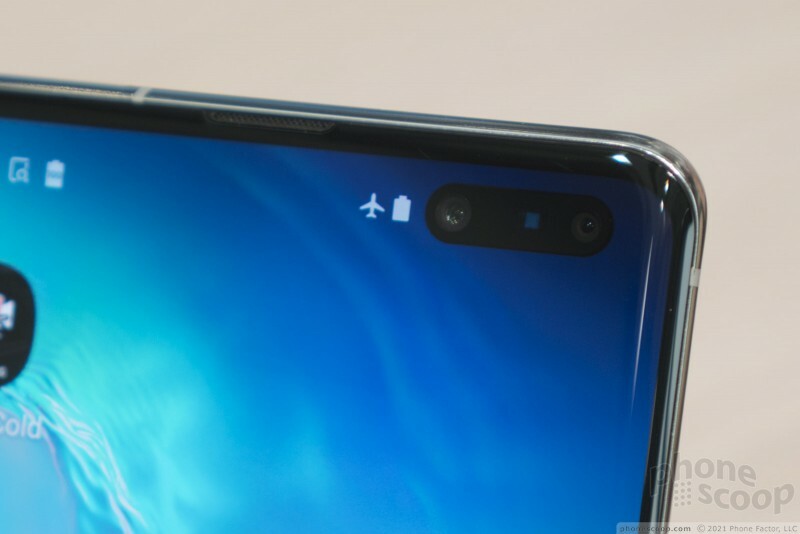 It has almost everything the S10+ has, and more, including the hot new tech of 2019: ToF depth sensors, front and back. 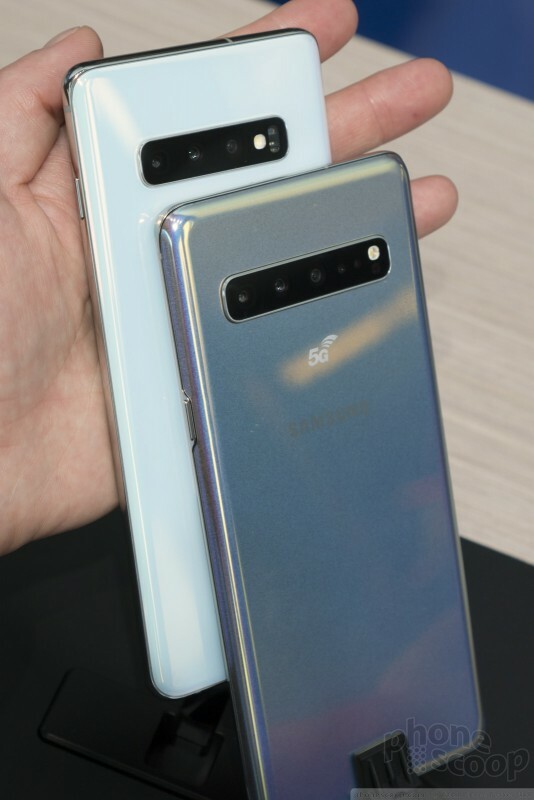 It's larger than the S10+. There are a few things you should know about it, though, and a few things that surprised me when I finally got my hands on it. Read on for full first impressions. When I first saw the S10 5G last week, I thought it looked awfully huge. I was able to see it up close, but not hold it. Now that I've held it, I can say it feels large, but not nearly as huge as I feared. 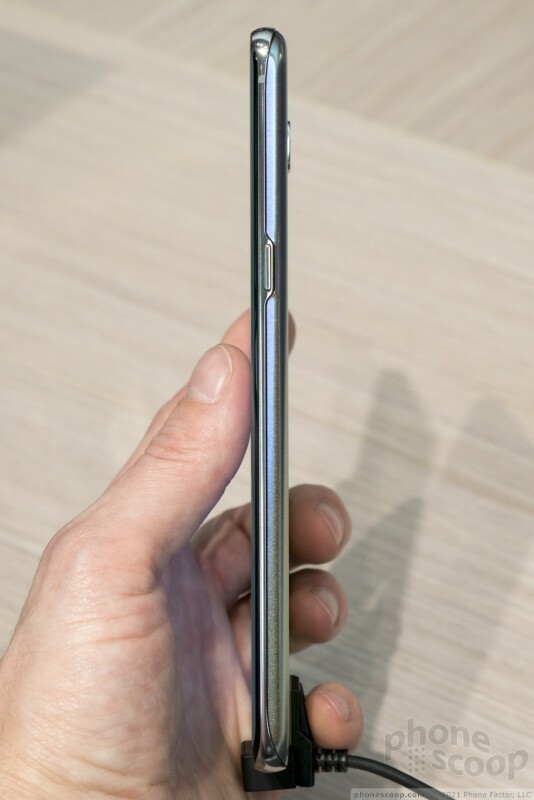 It feels like a typical large phone, and it's actually quite thin. It's not overly heavy, either. 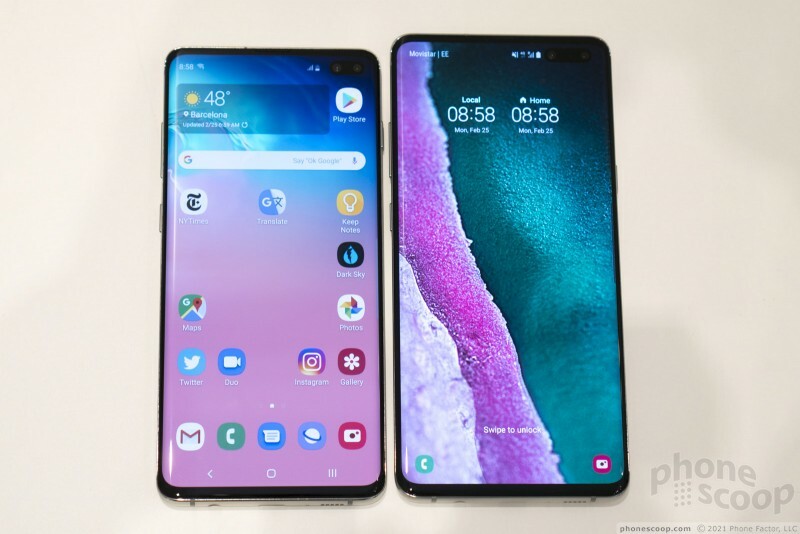 The S10 5G has a high-quality feel, but the S10+ looks and feels more refined to me. 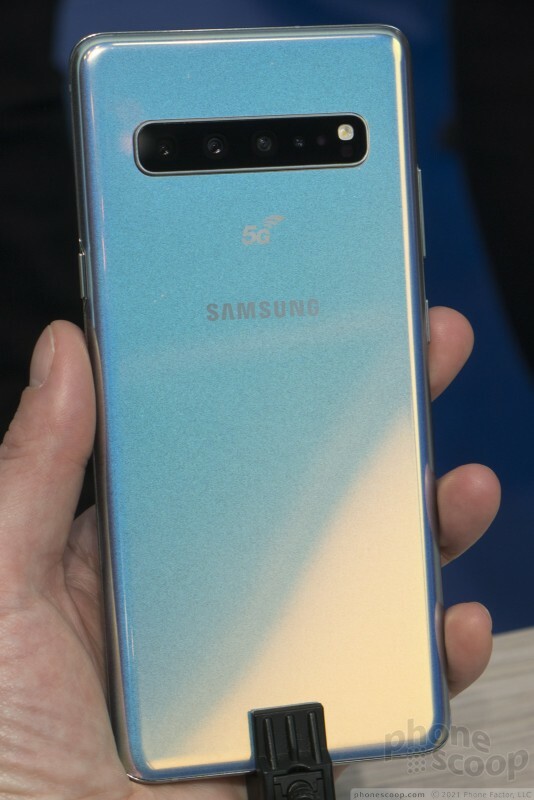 The color — which Samsung has yet to give a name to — is accented by a color-shifting prismatic effect, just like many of Samsung's new phones this year. 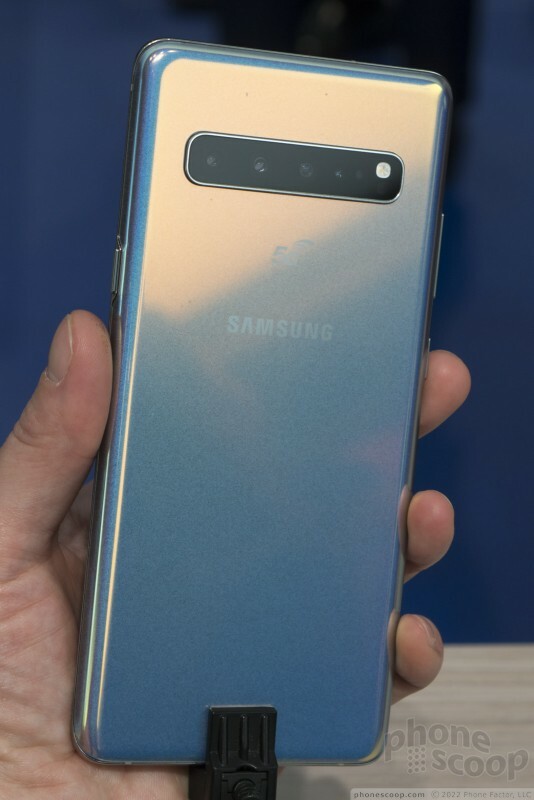 I find the prismatic thing a little tacky for a phone this high-end, but that's my personal taste. It can be eye-catching in the right light, and that's the point. 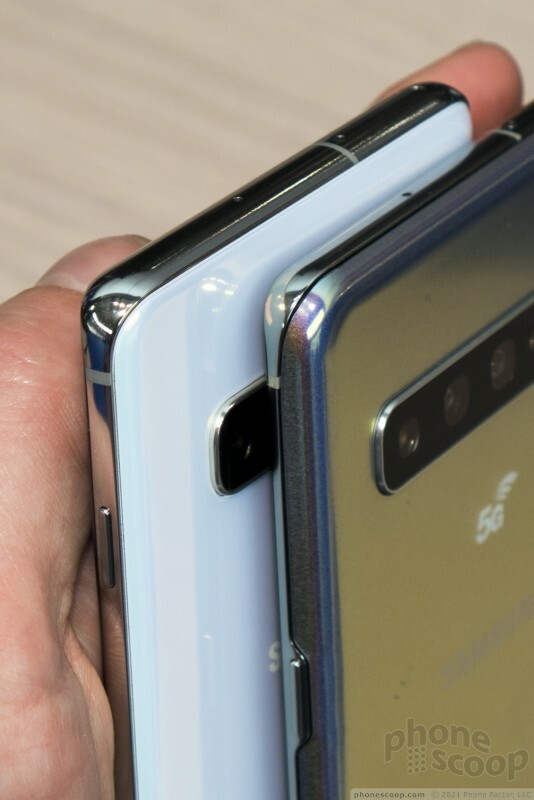 The frame and rear glass differ from the S10+. 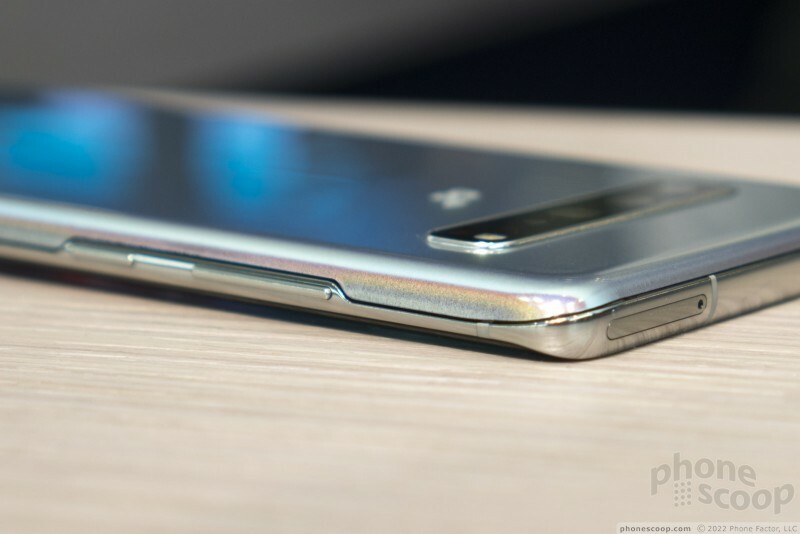 The metal frame is much thinner in most places, necessitating little bump-outs for the buttons. 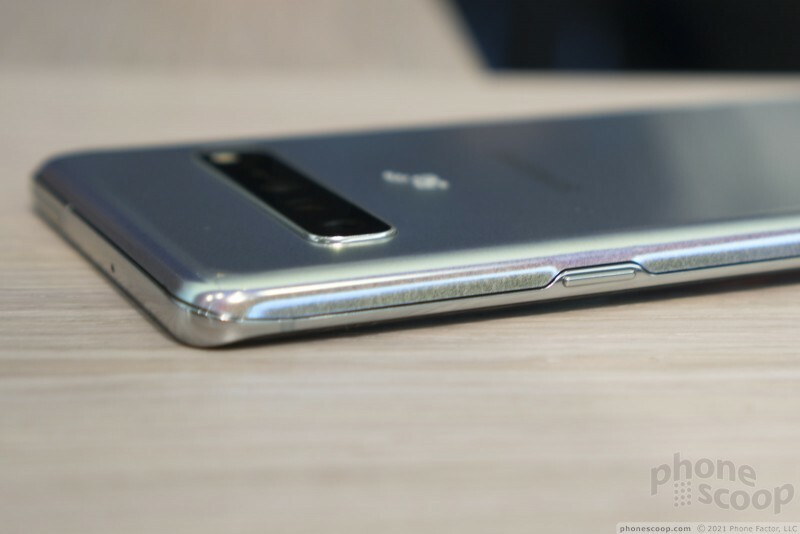 The rear glass is also a very different shape, curving more abruptly on the sides, but also curving to cover more of the top . 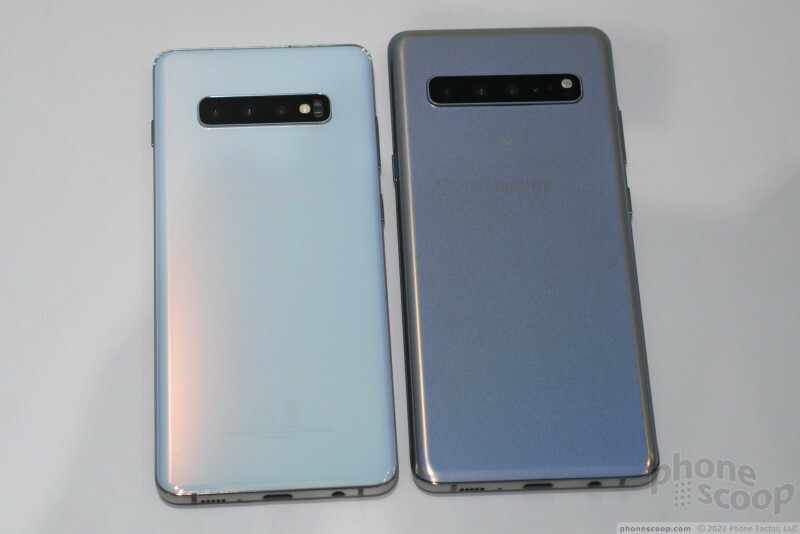 Personally, I find the design of the S10+ more refined and distinctive. 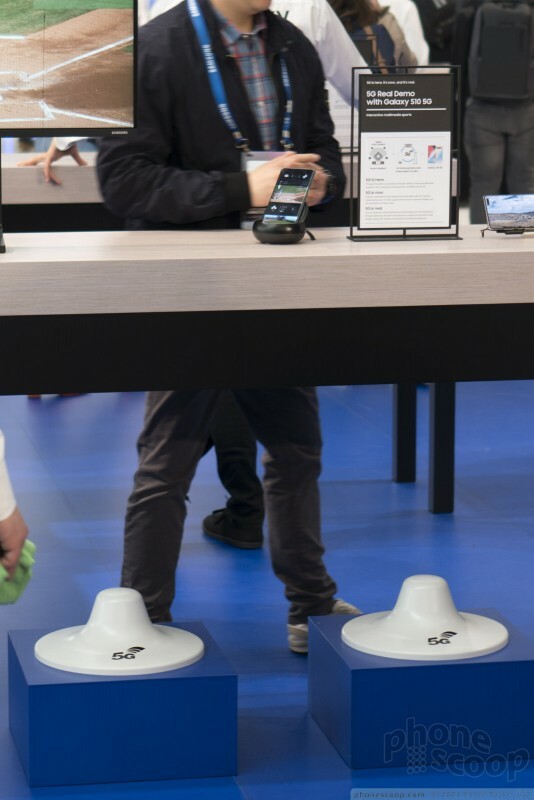 Live demos of something like 5G at a trade show aren't very useful in determining how it will work in the real world. 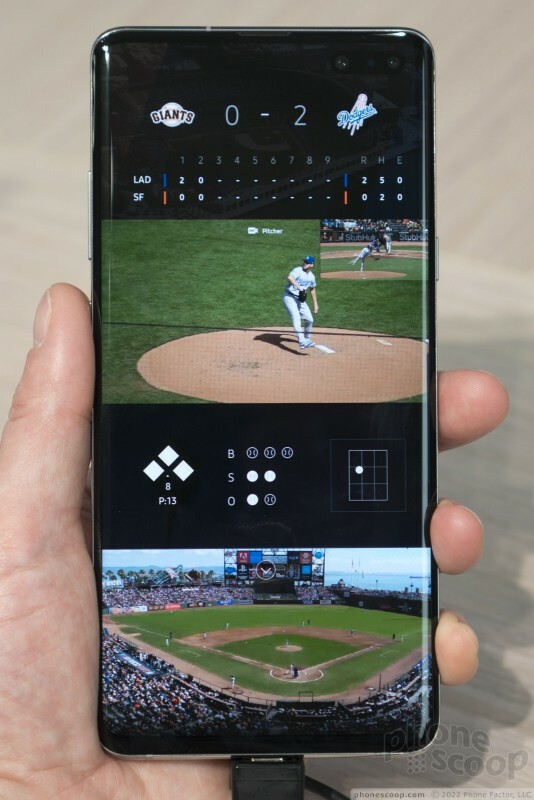 Nevertheless, Samsung did set up a tiny, real 5G network and demoed multiple high-res video streams. 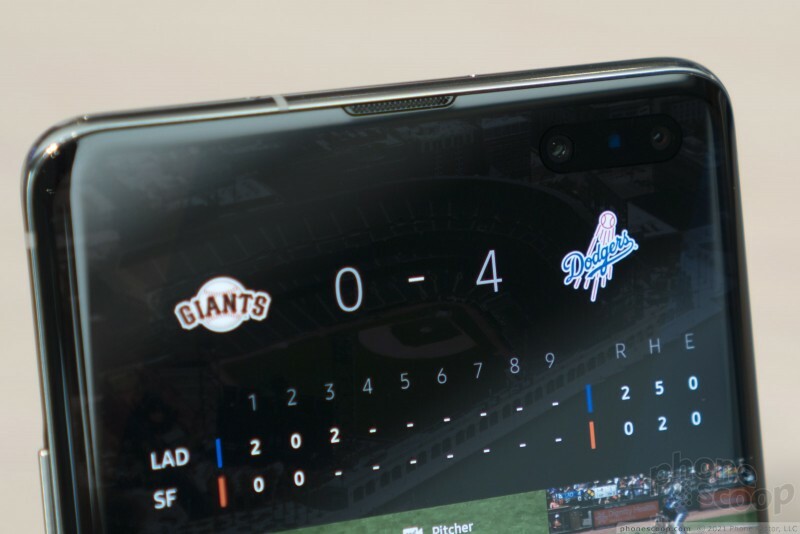 The example app let you watch a baseball game and choose from over a dozen different cameras at any time. It worked as advertised. But again, that doesn't mean much. The one truly weird thing about the S10 5G is the lack of a memory card slot, which I simply cannot understand. 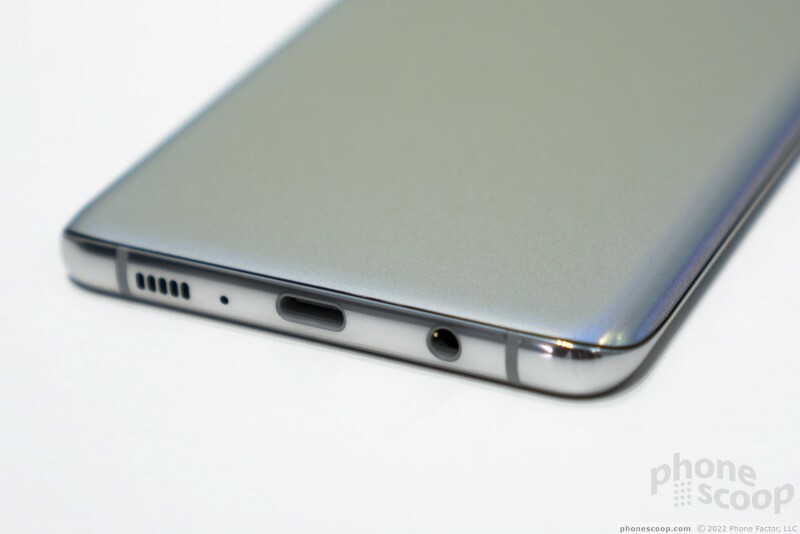 There is a 3.5mm audio jack, at least. 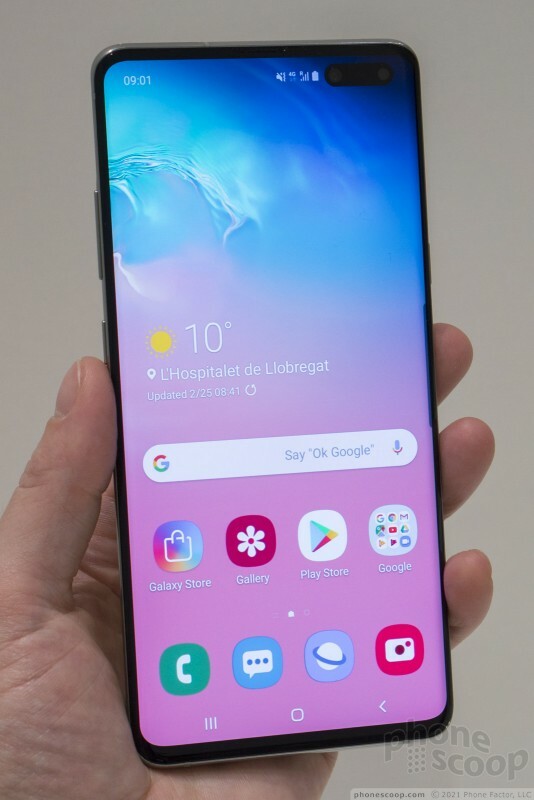 The other thing you should know about this initial version of the S10 5G is that it uses Qualcomm's X50 modem, when the far-more-capable X55 is coming later this year. 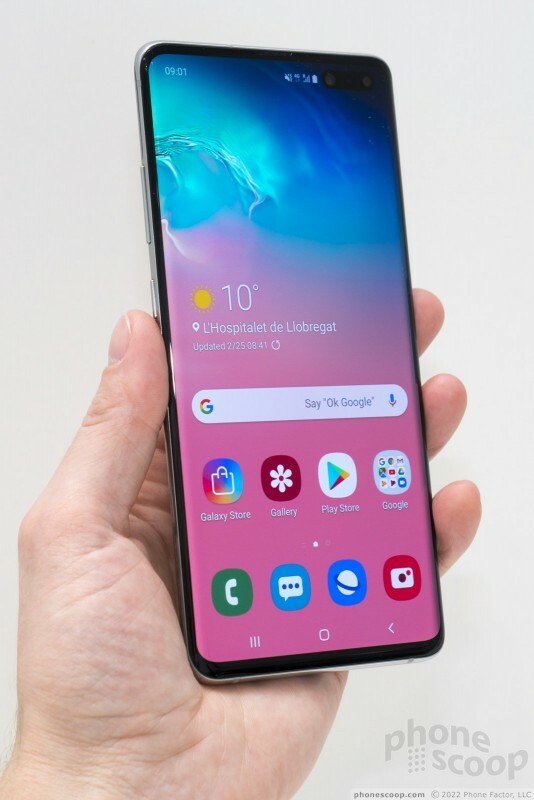 But the X50 in the S10 5G won't work with the existing frequency bands that will be used for much of AT&T's 5G network, and all of T-Mobile's 5G network. 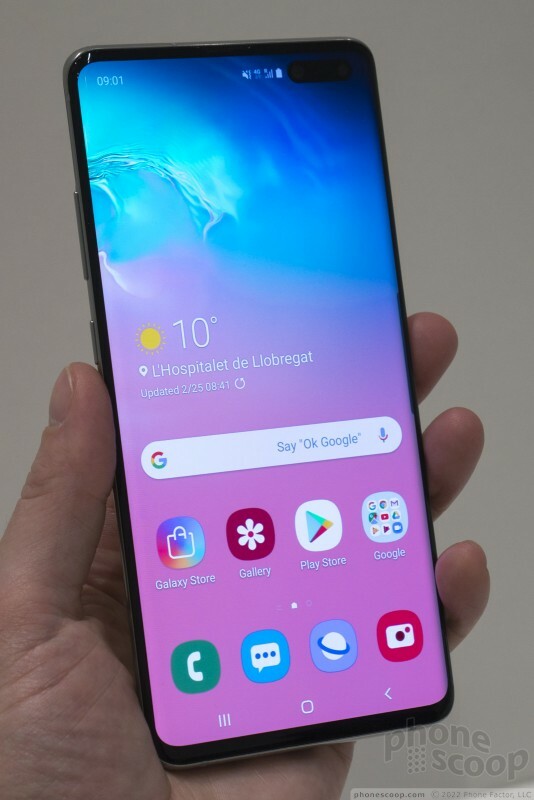 So T-Mobile will wait and release an S10 5G with the X55, because they have no choice. That's actually pushing back their whole 5G launch. 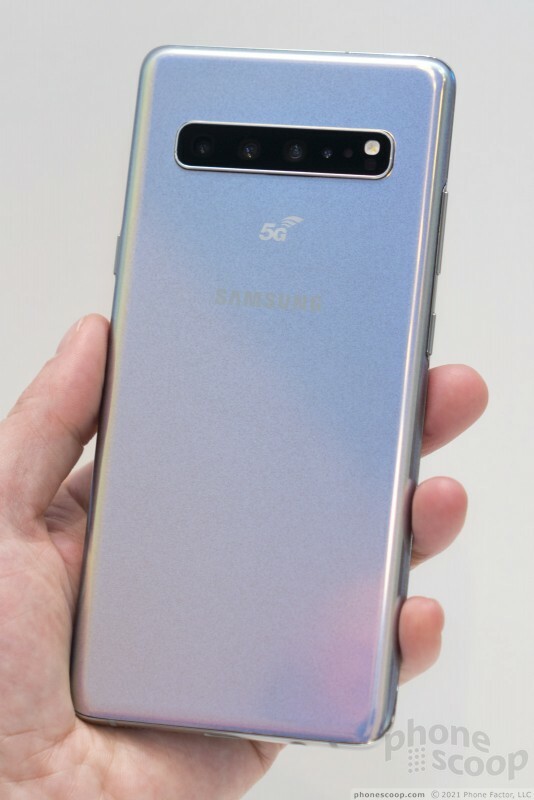 AT&T is releasing this S10 5G now so they can launch a 5G phone ASAP. 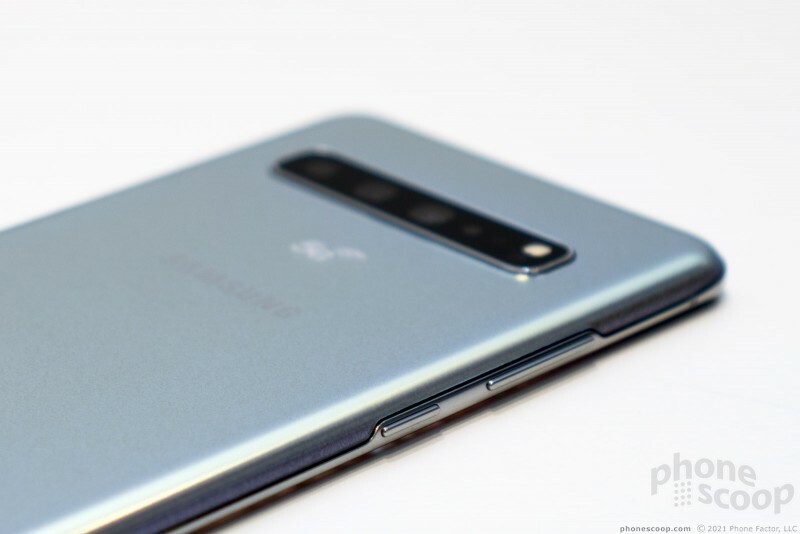 But they've already publicly disclosed that a second Samsung 5G phone (with the X55) that can access their whole 5G network will be coming later in the year. Whether that's a minor update to the S10 5G, or a new model, remains to be seen. So if I were an AT&T customer, I'd wait for that second model. 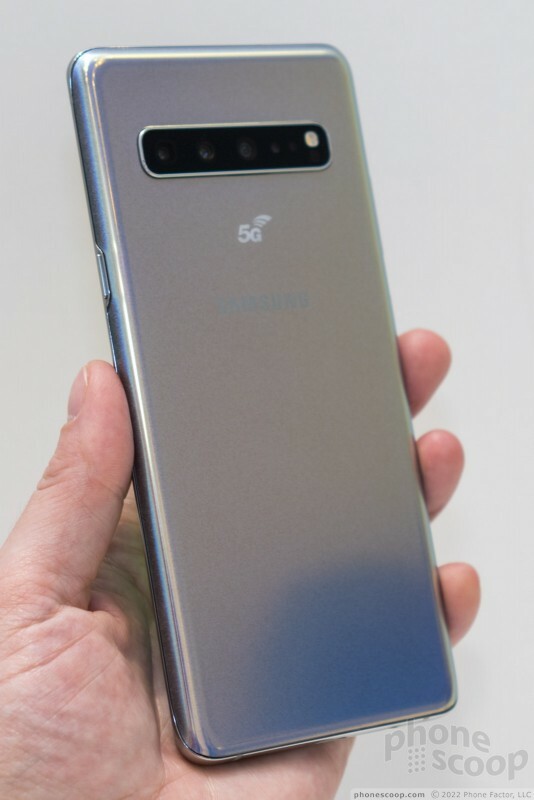 And it wouldn't surprise me to see Verizon announce plans for additional 5G frequency bands before long, so that actually could be an issue if you plan on keeping your Verizon S10 5G for 2+ years. Qualcomm's latest Snapdragon chips bring advanced features to higher-end phones that are a bit more affordable than "flagship" models. 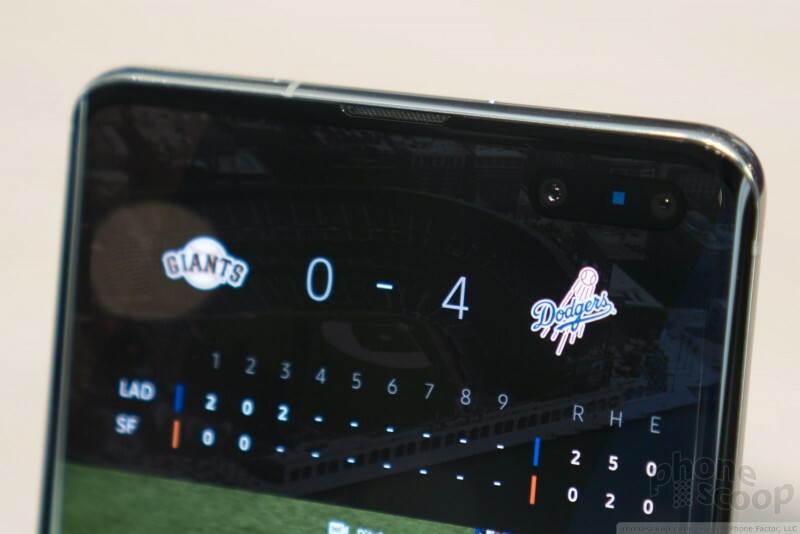 The company announced three chips today, two in the 7 series and one in the 6 series.